Spectators at a rainy Irish Open. 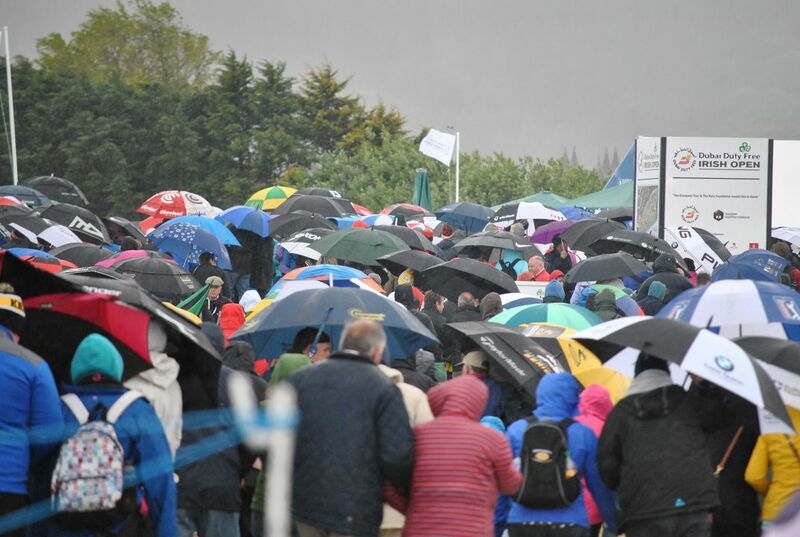 Golf fans couldn't escape a typically rainy day in Northern Ireland at the 2015 Irish Open. Date Uploaded: Sept. 18, 2017, 12:18 p.m.